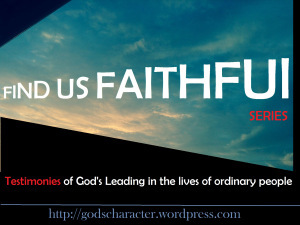 Today’s Find Us Faithful series bring us a testimony about how God worked in a difficult pregnancy. My name is Jamie. I’m 29 and I have been married to my best friend and biggest fan for 8 years. We have two kiddos.. my son turned 5 a few weeks ago and my daughter will turn 3 in a few weeks. Jesus is my everything. December 27, 2014 in Uncategorized.